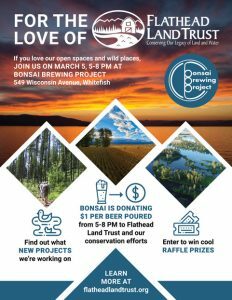 Join us on March 5, from 5-8 PM at Bonsai Brewing Project in Whitefish and support the Flathead’s open spaces and wild places! Bonsai is generously donating $1 per pint to Flathead Land Trust and our conservation efforts throughout northwest Montana. We’ll be there to talk about our upcoming projects this year and you can enter to win some cool prizes. Join us for a beer (or two) for a good cause at Bonsai on March 5th! 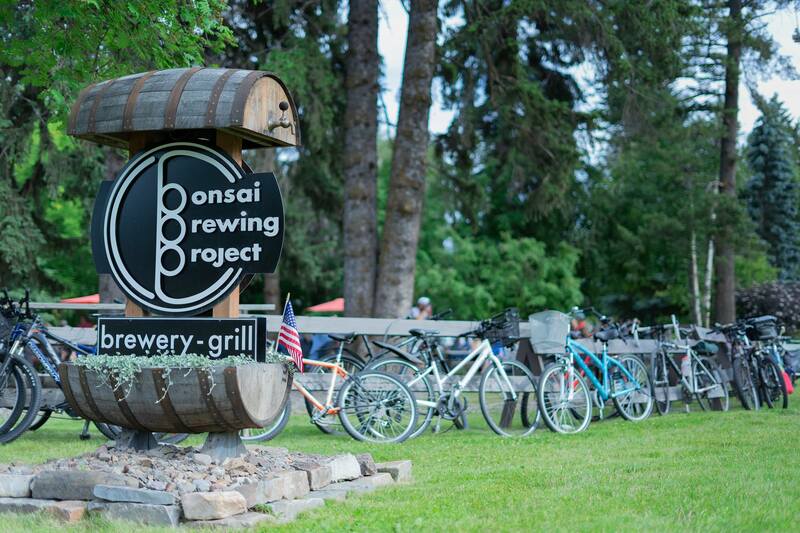 Bonsai Brewing Project is located at 549 Wisconsin Avenue in Whitefish.